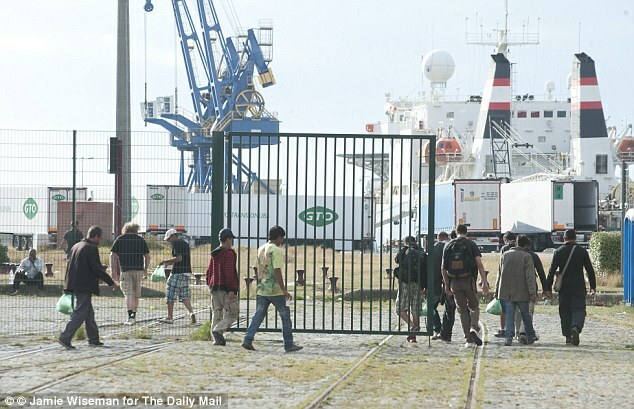 Another Calais politician has launched a scathing attack on Britain for its policy on immigration which he claims attracts hundreds of illegal immigrants to the French Channel coast as they attempt to sneak into Britain. Deputy mayor Philippe Mignonet, the man tasked with solving the problem in Calais, called UK policy on migrants ‘grotesque and hypocritical’. ‘Britain says we don’t want immigrants but does nothing to prevent black economy employment yet two million people work on the black in Britain,’ he said. In an interview with the newspaper Manche Libre he said his town is having to cope with up to 400 migrants at any given time and that numbers will soon approach those counted before the closure of the Sangatte Red Cross Centre and ‘The Jungle ‘ – a squalid camp where Afghan and Iraqi refugees stayed before heading for the UK. ‘The Town is facing something which is beyond its limits and which must be handled at highest national and European levels ‘, said Monsieur Mignonet. 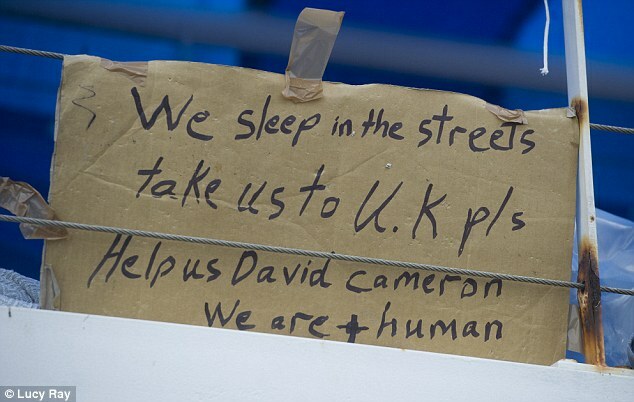 An estimated 400 migrants are currently living in dilapidated buildings or camping out at Calais. 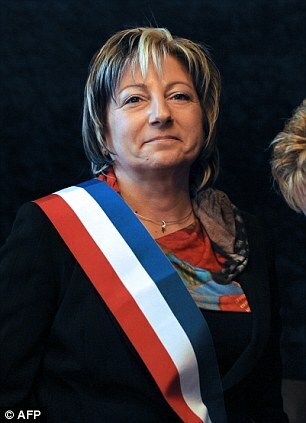 Last month mayor Natacha Bouchart sparked controversy by using her Facebook page to appeal to citizens to report new squats to the police. She too blames UK policies for welcoming migrants who queue up at Calais to stowaway to Britain on ferries. Madame Bouchart also points the finger at British anarchists belonging to the No Borders group which allegedly aids migrants to find squats . It has now emerged that desperate migrants have even taken to diving into the sea in apparent bids to stow away on cross Channel ferries. Others are believed to have even attempted to swim the impossible 25 miles to the UK, it has emerged. One man known to be Eritrean disappeared, believed drowned, and another was fished out of the harbour at midnight on October 10 dressed only in a pair of underpants. The destitute African had stashed his meager possessions in plastic bags tied to a belt around his waist and managed to swim across the harbour in freezing waters. Weeping at the loss of his companion the 41 year old man was taken to hospital and treated for hypothermia. His body temperature had dropped to 32 degrees Celsius. In August last year the body of an unidentified Asian woman believed to have tried to swim across the Channel to England was found on a beach near Calais. The woman in her thirties was wearing a wetsuit and had energy drinks on her and a compass around her neck. She is believed to have succumbed either to hypothermia in the water or to have fallen off a cliff. In 2009 a successful French film named Welcome featured the heroic story of a swimming teacher played by charismatic actor Vincent Lindon who took pity on a Kurdish migrant desperate to reach the UK to be with his girlfriend. The teacher taught the young man to swim long distances in his local swimming pool. The Kurdish swimmer braved freezing waters, oil tankers and ferries in mid Channel only to die of cold and exhaustion within a short distance of the Kent coast. Sangatte refugee camp near Calais was closed in a bid to stem the flow of illegal immigrants crossing the Channel into the UK. The camp covered roughly the same area as Heathrow airport and contained an ex-Eurotunnel building that was requisitioned by the French authorities in September 1999. Sangatte was designed to hold about 900 refugees, but the Red Cross said numbers peaked at about 2,000. The village of Sangatte, with a population of 800, was actually smaller than the camp. The camp was demolished on the orders of Nicolas Sarkozy 10 years ago when he was Minister of the Interior. Sarkozy went further in 2009 after he became President, ordering the razing of ‘the Jungle,’ a giant squat camp near the ferry terminal where hundreds of Asian migrants were living in makeshift huts. Last year the new socialist government of France has given its blessing to the construction of the first of a cluster of officially approved ‘mini Sangattes’ close to the port of Calais. These will house migrants hoping to stow away in cross Channel ferries to Dover and settle down in the UK.